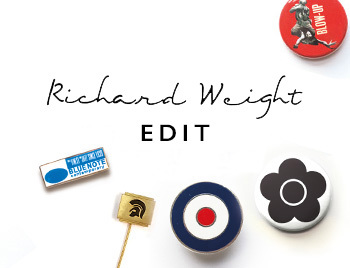 Richard Weight, Author of ‘Mod: A Very British Style’ and ‘Mod: From bebop to Britpop’ gives us his edit of our SS15 collection. I love this contemporary twist on a mod classic. It’s lightweight and waterproof with a fishtail like the original parkas but comes in a rich slate navy colour with some great detail, like the corozo buttons and the brown trims on the neck and waist drawstrings. Perfect for strutting through spring, whatever the weather brings! Like the legend it’s named after, this cotton fitted jacket has effortless style and attitude. The round collar and epaulettes evoke the British military tunic and the Indian ‘kurta’ shirt/jacket, both of which the Beatles helped to introduce into the modern man’s wardrobe. 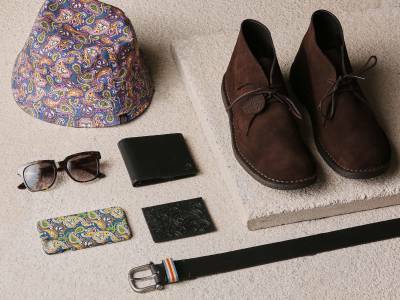 A strip of paisley detail adds a little inner colour to this creamy, dreamy outerwear. 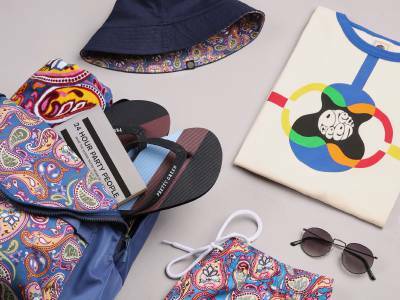 Think music festival or Margate sands, not librarian, when you hear the word ‘duffle’ in the world of Pretty Green. It’ll keep out wind and rain, but with toggles that look like a strip of bullets across the chest and a panelled cut that keeps its shape, the Oakham is as stylish as the most fitted outerwear on offer this spring. The Harrington jacket has been a staple of the mod wardrobe since the early 1960s, when the retailer John Simons gave it a name. Sharply minimal in style and lightweight in feel, this version has all the versatility of the original but stands out from the crowd with a shimmering, iridescent fabric that makes it…well, pretty and green.